Our latest research uncovered a surprising outcome. It seems that rather that trying to out-compete each other in colour and scent for bee attention, flowers may work together to attract pollinators en masse. It's the sort of approach that also works in the world of advertising. 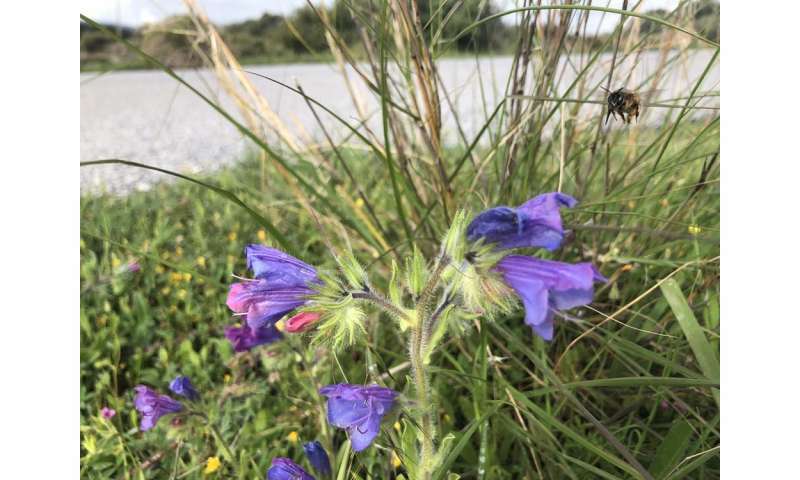 So a competition view of flower evolution for different flower species with the same colour – for example purple – would suggest that each flowering plant species should benefit from having different scents to enable pollinator constancy and flower fidelity. By the same logic, flowers with the same scents should have different colours so they're easily distinguished. At the same time, in order to record the actual pollinator "clientele" of the flowers, detailed recordings of visits are required. These data are then built into models for bee perception. Statistical analyses allow us to understand the complex interactions that are present in a real world evolved system. So flowers of different, completely unrelated species might "smell like purple," whilst red coloured species share another scent. This is not what is expected at all by competition, so why in a highly evolved classical signal receiver has this happened? 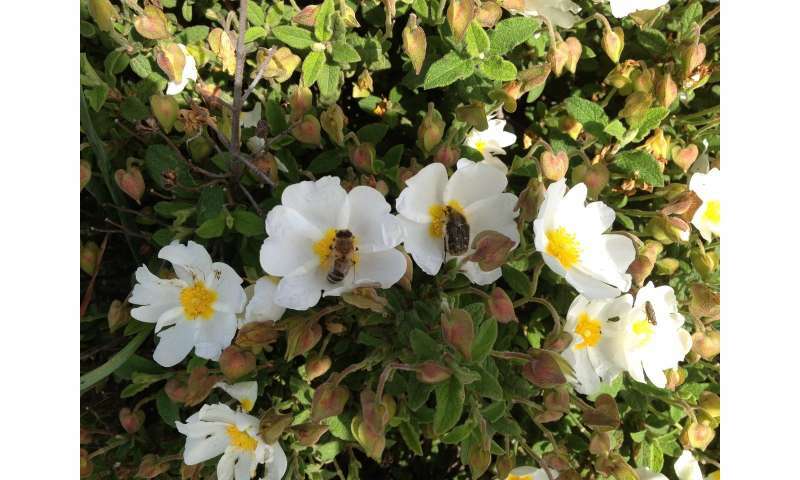 A successful colour–scent combination targeted at attracting bees can be adopted by several different plant species in the same community, implying that natural ecosystems can function as a "buyers markets." When next enjoying a walk in a blooming meadow, remember plants' strategies. The colourful flowers and the mesmerising scents you experience may have evolved to cleverly allure the efficient pollinators of the region.